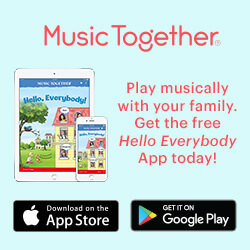 This FREE app includes some of Music Together's favorite songs. You can read "Hello Everybody" the Singalong Storybook of the song that begins every class. Learn more about your child's music development and our program, too.